In addition to dropping temperatures and changing leaves, the start of fall also signals the beginning of flu season in the U.S. Seasonal influenza may be thought of as a common nuisance, but the disease can be dangerous. Last flu season, 970,000 people were hospitalized due to the illness and the U.S. Centers for Disease Control and Prevention estimated there were 40 million flu cases in total. There is a simple way to diminish the chance of getting the flu or suffering the worst complications from the disease: Get a flu shot. 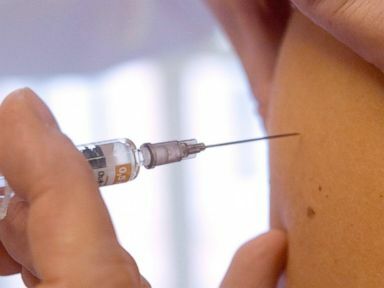 Dr. Amy Edwards, a doctor of Pediatric Infectious Disease at University Hospitals Rainbow Babies and Children’s Hospital, told ABC News that “young kids” and “adults over 65” especially should make sure they get a flu shot this year. In addition, “people with chronic medical problems, such as asthma, diabetes and heart diseases, that put them at a higher risk for complications,” when infected with the flu should make sure to get vaccinated, according to Edwards. People who are going to be exposed to those with a higher risk for complication should also make sure to get a flu shot, Edwards added. “They’re at an increased risk for having bad outcomes, including pneumonia and cardiac events, because it puts a lot of strain on the heart. People who have had cardiac events in the last year should really get the flu shot,” Edwards added. Edwards also said that “anybody that doesn’t want to take two weeks off for a bad case of the flu” should get vaccinated. While most health experts advise that earlier is better, the seasonal flu season doesn’t pick up until October in the U.S., according to the CDC. “The CDC recommends October because we never quite know when transmission is going to start,” Edwards said. “I always advocate as soon as possible. In my mind, it is just not worth taking that risk,” the doctor added. In previous years, some doctors recommended getting a nasal spray vaccine as opposed to the traditional flu shot. The nasal spray is currently not recommended for use by the CDC because it appears it may not be as effective as preventing the flu as the shot, according to recent studies. Of the variety of flu shots available, Edwards recommended talking to your doctor to figure out which vaccine would be most appropriate for your specific lifestyle and medical history. “For the vast majority of the population, the regular trivalent should be just fine,” she said. Older people over the age 65 can get flu shots or “high-dose vaccines” specifically aimed at protecting seniors. These vaccinations have a higher amount of antigen, which helps the immune system to develop antibodies. The effectiveness of a flu shot at preventing the virus “varies by year,” according to Edwards. “Every year the experts look at what strains have been circulating in the U.S. and what strains have been circulating in other parts of the world,” when making the vaccine, Edwards said. “There are some years where the vaccine is much better at preventing the flu than other years, but you are always getting some protection,” Edwards added. The flu shot is not a perfect vaccine and people may contract the virus even if they have received the vaccine. In these cases, experts advise that at-risk patients get antiviral medication to shorten the duration of influenza symptoms. Dr. William Schaffner, an infectious disease expert at Vanderbilt University Medical Center, said anyone with underlying complications such as heart or breathing problems or above the age of 65 should go to their physician immediately if they show symptoms of the flu.